A new nonprofit has created a web app to help New York City tenants who live in rent-controlled apartments and are being harassed by their landlords. Landlord harassment is a well-documented problem in NYC, where landlords can escape rent control restrictions by forcing tenants to move. Justfix is the brainchild of three young tech innovators who interned at Blue Ridge Labs, the Robin Hood Foundation’s in-house tech incubator. Their inspiration came after observing at Eviction Court and witnessing how tenants with good defenses weren’t prepared for court. Our “aha” moment was sitting in housing court, observing people for days, and seeing tenants come to court unrepresented with a bag of miscellaneous papers, flipping through photos on their phones to illustrate conditions in their apartments, struggling to tell their story to the judge. According to Business Insider, the JustFix web app has three elements for tenants seeking repairs and resisting eviction. With the web app, tenants can document their conditions and archive their complaints, initiate mediated conversations with landlords about repairs, and forward tenant reports to state and local housing officials. The JustFix.nyc dashboard is meant for community organizers and other on-the-ground advocates to more effectively keep track of the tenants, buildings, and neighborhoods they work with. It will be integrated with open datasets from a range of city and state agencies and work hand-in-hand with the tenant web app in order to simplify communication and collaborative efforts. While privacy issues may be a concern, having on-the-ground reports could be a terrific organizing and planning tool. Rental information phone line services have been a fixture of metropolitan tenants organizations going back to the 1960s. Increasingly, however, these services have been caught in a resource squeeze. Where once the “hotline” was a way to attract new members, it’s now more like public TV, where service consumers rarely contribute. As foundations grow reluctant to fund “the same old thing,” metropolitan tenants organizations need to find new ways to cover costs. A web app might be the glossy new tool that attracts foundation funding. 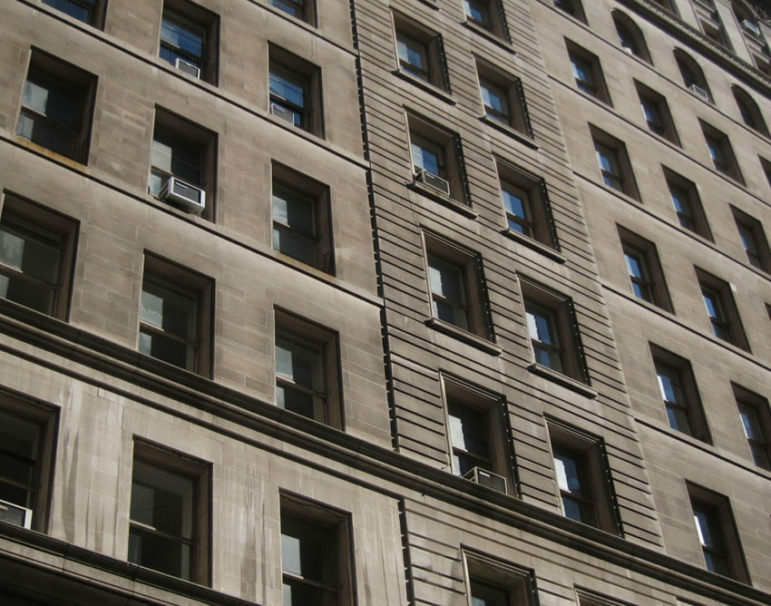 Chicago’s Metropolitan Tenants Organization (MTO) uses an online information and reporting web app called Squared Away, which was opened in 2013. MTO director John Bartlett reports, “MTO members like it and feel proud that the agency has this technology. The [app] has tremendous potential to help renters resolve issue and to change the landlord and tenants relationship from verbal agreements to written business transaction.” Mr. Bartlett reports that about 7000 are served each year. On the other hand, custom-designed software is expensive to develop and debug. In an email interview, MTO’s Bartlett acknowledged that searching for funding slowed the implementation of the Squared Away program. MTO received a foundation grant for development, but hidden costs include the staff time it takes to manage the debugging process, staff training, and promotion of the service. “It is all well and good to have developed a powerful tool, but if you are unable to promote it then it will not be used in the numbers it was designed for.” Recently, some of MTO’s overhead has been relieved when a software provider began to donate his services, but expanding the service remains a challenge. Another challenge is finding funds to make Squared Away a bilingual (English and Spanish) platform. JustFix is still in its infancy, but the possible use of JustFix as a template for other tenant organizations is intriguing. An example of a small nonprofit making a business by licensing their business model to other nonprofits was featured in NPQ last year. While franchising the business could provide a revenue stream for JustFix, the larger problem of how licensees can cover the costs of the service remains. Unlike public radio listeners, who tune in every day and are sometimes motivated to make a donation, tenants only occasionally seek help for a rental housing issue. Another difference between tenant customers and public radio listeners is the ability to donate in exchange for a service. Despite the increase in middle-income renters in the decade following the Great Recession, most rental households are surviving at or below the poverty level. A final concern will be how far the legal profession will go in accepting a web app as a provider of legal advice. In the past, the legal profession has been fairly tolerant of “information only” services delivered by non-lawyers because so few attorneys practice in the eviction defense field. But if landlord attorneys start losing cases to an algorithm, you can bet that automated systems will be challenged.